Kid’s Beauty Gift Sets Just $4.88! You are here: Home / Great Deals / Kid’s Beauty Gift Sets Just $4.88! Right now you can get this Kid’s Beauty Gift Sets for just $4.88 at Walmart! These make great stocking stuffer or gift ideas. 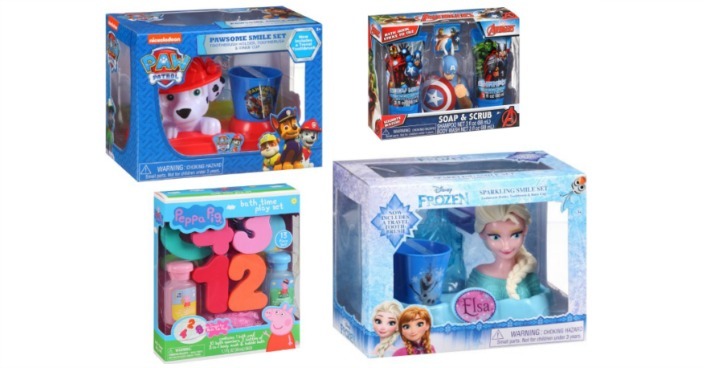 These gift sets include Peppa Pig, Frozen, Trolls, Paw Patrol, Spiderman, Teenage Mutant Ninja Turtles, and many more! You are sure to find something for everyone!